Arviot asiakkailta majoituspaikassa Makayla Palms yöpymisen jälkeen. Excellent location; very comfortable accomodation with beautiful gardens surrounding the cottages. Private, quiet, roomy and everything you could want for a wonderful stay. The hosts are outstanding and make this an exceptional place to stay. Beautiful beach at the end of the driveway. The location is superb! There is a private access to the beach and there is only a few people there. This beach along with black rock and aroa are the best on the island! The outside area was really nice, we used the BBQ and had nice dinners outside. 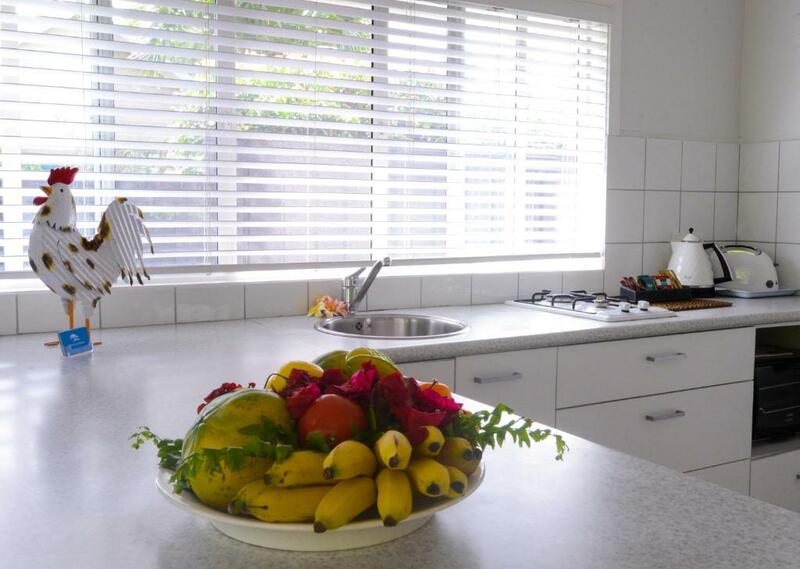 The kitchen is really well equiped with everything you need and more! The gardens have some herbs and fruit you can take, which we did. Grace was a really nice host and was available to help us with an issue we had in our stay in cook islands. Also the transfer from and to the airport was really good. The welcome book has a lot of useful info, please read it. Makayla Palms exceeded our expectations. The location was perfect and lagoon beach wonderful for snorkling and kayacking. The staff Grace, Fred and Lovely were thoughtful and helpful. We have booked in next year for three weeks. 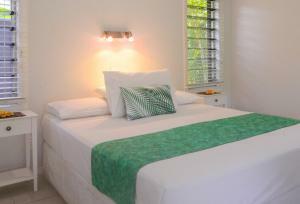 Modern facilities that are a stones throw from an excellent snorkeling beach. The hosts are exceptional. Small property, but they meet you on arrival to explain everything. 1 min walk to amazing swimming and snorkelling. Large accommodation. Very modern, comfortable. Home was spotless and luxurious. What a location. Also loved the friendly local dogs! Makayla Palms: Varaa yöpymisesi huippuhintaan – arvosana 9,5 muilta matkailijoilta. 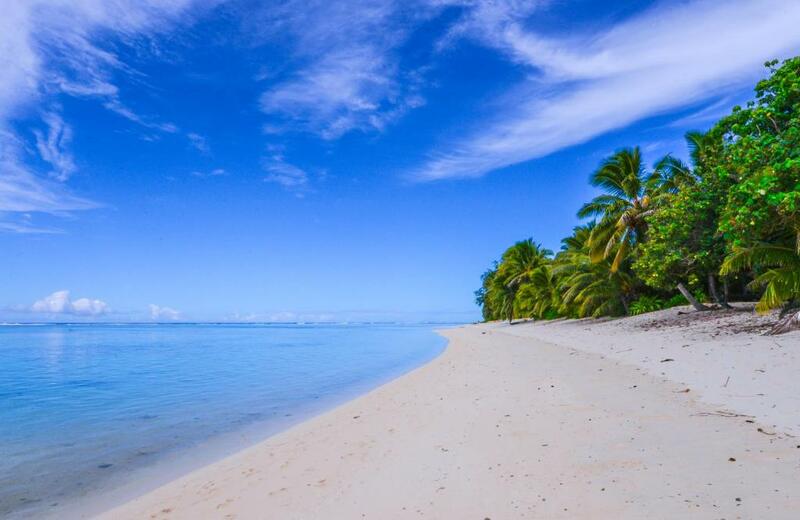 Rarotonga – majoituspaikka kuuluu kohteen suosikkeihin.Perfectly positioned alongside Titikaveka Lagoon, Makayla Palms offers private beach access and accommodation with a private BBQ and patio. Guests enjoy free use of kayaks and snorkelling equipment. 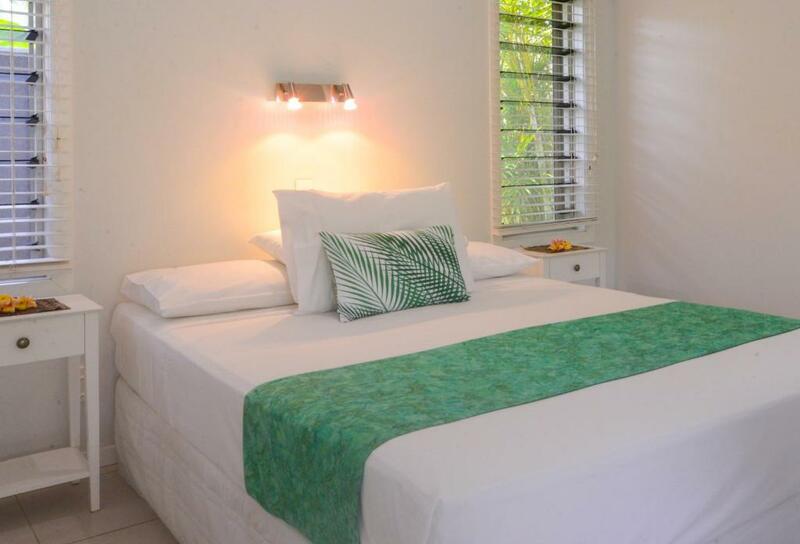 Surrounded by lush tropical gardens, the modern accommodation features a spacious lounge area with a TV, iPod dock and DVD player. You can make use of the open-air shower and free toiletries provided. 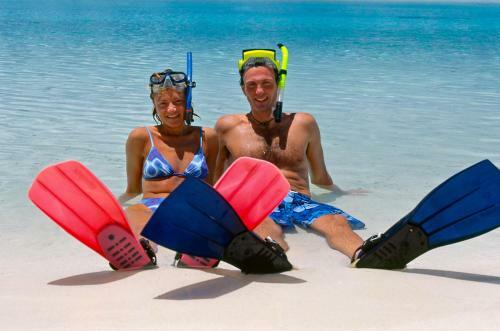 The staff can arrange diving, fishing and safari excursions. Pamper yourself with a relaxing massage or take a cruise along Koka Lagoon. 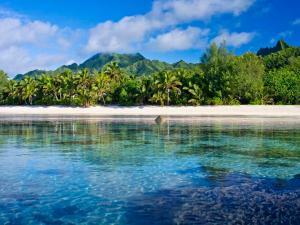 Makayla Palms is a 20-minute drive from Rarotonga International Airport. Rarotonga Golf Course is a 10-minute drive away. Erityisesti pariskunnat pitävät sijainnista – he antoivat sille pisteiksi 9,9. Tässä majoituspaikassa saat arvioiden mukaan parasta vastinetta rahoillesi kohteessa Rarotonga! Asiakkaat saavat samalla summalla enemmän kuin muissa majoituspaikoissa. Makayla Palms on toivottanut asiakkaat tervetulleeksi Booking.comissa 25. kesäk. 2013 lähtien. Sopii pariskunnille – majoituspaikan palvelut ovat saaneet pareilta arvosanan 9,7. Milloin haluaisit yöpyä majoituspaikassa Makayla Palms? This villa features an outdoor patio with BBQ facilities, which is surrounded by tropical gardens, It boasts a kitchen and open-plan lounge and dining area. It includes a DVD, book and games library. Please note air-conditioning is available for an additional charge. This air-conditioned villa features an outdoor patio with BBQ facilities, which is surrounded by tropical gardens, It boasts a kitchen and open-plan lounge and dining area. It includes a DVD, book and games library. This studio has a private entrance, tile/marble floor and sofa. Award winning Rarotongan accommodation at its best! Excellence on trip Advisor. Modern,boutique, self catering villas set in lush tropical gardens with private access to stunning Titikaveka lagoon and beach. 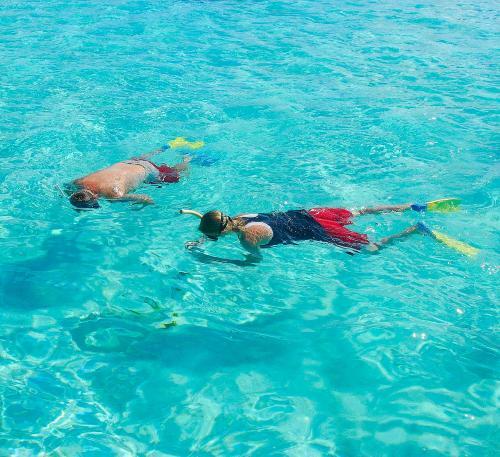 Relax on the uncrowded beach with complimentary kayaks and snorkeling equipment or explore the many and varied activities on the island. Makayla Palms has a two bedroom villa and two couples villa (studios) and they have everything you need for your tropical holiday. These fully screened villas feature full kitchens, spacious lounges with flat screen TV,iPod dock, DVD player and Wifi modem. A cupboard contains all linen changes and beach towels, books games and DVDs.Guests enjoy the BBQ on their deck and the open air shower. We have a car and scooters that can be pre booked and parking is available on the property. Buses run regularly and may be hailed at the gate. Exclusive airport transfers are available for booking. Mukavuudet: Makayla Palms Mahtavat mukavuudet! Arvioiden pistemäärä on 9,6. Wi-Fi on saatavilla hotellihuoneissa ja se on maksullinen. Talon säännöt Makayla Palms ottaa vastaan erikoistoiveita – voit lisätä sellaisen seuraavassa vaiheessa! tämä huvila sallii vähintään 11-vuotiaat lapset. Lisävuoteiden ja huoneessa olevissa vuoteissa nukkuvien lasten mahdollinen enimmäismäärä riippuu valitsemastasi huoneesta. Tarkista huoneesi kohdalta yöpyjien enimmäismäärä. Makayla Palms hyväksyy nämä kortit ja pidättää oikeuden tehdä kortiltasi katevarauksen ennen saapumista. 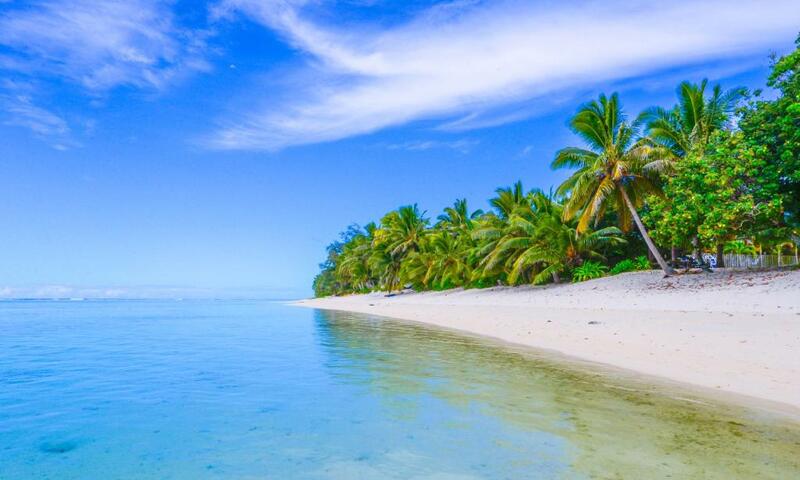 Transfers to and from Rarotonga International Airport are available at a charge of NZD 40 per person, return. Please inform Makayla Palms in advance if you want to use this service, using the contact details found on the booking confirmation. Please note Makayla Palms has a 3-night minimum stay requirement. Children over 12 years are welcome. 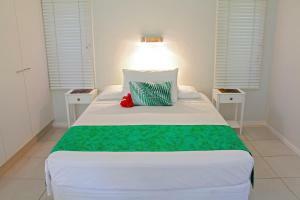 Children under 12 years are welcome provided all three villas are booked. Payment via Bank Transfer is also available. For further information please contact the property in advance, using the contact details found on the booking confirmation. Ilmoitathan majoituspaikalle Makayla Palms etukäteen arvioidun saapumisaikasi. Voit kirjoittaa sen Lisätietoja-kohtaan varausta tehdessäsi tai ottaa yhteyttä suoraan majoituspaikkaan. Yhteystiedot löytyvät varausvahvistuksesta.